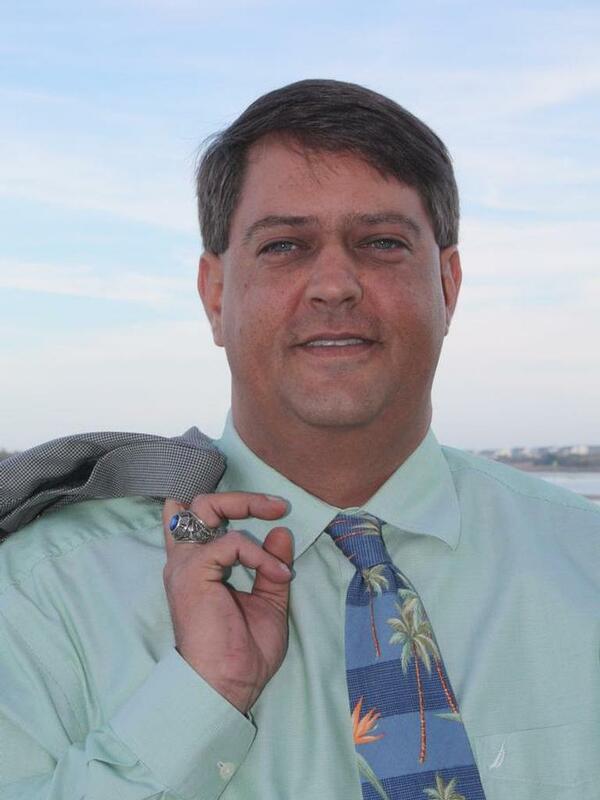 My name is James M. (Jimmie) Pendergrass, Jr. and I am a dedicated and successful REALTOR® in Brunswick County, NC. My mission is to provide my clients with the utmost in personal, proactive & confidential service in order to not only meet, but indeed exceed their expectations. My extensive experience and proven track record are factors you can count on when working with me. I use the latest technology to understand the current market and to make the connections necessary for our success. Having been a resident of Brunswick County since 2000, I have a keen appreciation for this area and its people. I consider myself very fortunate to have landed here and as a REALTOR; in the South Brunswick Islands market I have the opportunity to meet people everyday who love Brunswick County as much as I do, whether they're native to the area like my wife and her family, a lucky transplant like me or someone just beginning to experience all the great things Brunswick County has to offer. Brunswick County is growing at an incredible pace. Indeed the US Census Bureau recently ranked Brunswick County as the 65th fastest growing county in America. I've had the great pleasure of assisting many of those buyers relocating to the area. Part of my responsibilities as a REALTOR® is to stay abreast of the myriad changes taking place in our market. This is a full-time career for me and it takes a full-time commitment to stay up-to-date on the changes taking place. I've also had the opportunity to meet a lot of wonderful REALTORS® in the area and develop very fruitful working relationships that go a long way towards making my clients' real estate transactions as seamless & worry-free as possible. Indeed, I am very proud to have been elected by my peers, all REALTORS®, to serve on the Board of Directors of the Brunswick County Association of REALTORS®. In addition, I also serve on the Association's Strategic Planning Committee as well as the Education & Public Relations Committees. In 2005, I was awarded "Rookie of the Year" by the Brunswick County Association of REALTORS. If you are considering buying or selling property in Brunswick County, please do not hesitate to call me. I would consider it a privilege to speak with you about your next real estate transaction in the South Brunswick Islands area. If you are looking into purchasing a home...Jimmie Pendergrass is your man...Hands Down! Not only is he a Great Realtor, he also became a Wonderful Friend. Anytime, any place, he is a call away. Someone that comes to check on his Clients, 5 months after we purchased the home, hours before a Hurricane approaches & jumps right out to help my husband put up our Storm Shutters...you make the decision! Thank You Jimmie, for your Professionalism, Kindness, Patience & most of all the Friendship we have built! 10/14/2015 - Bobby & Brenda T.
10/14/2015 - Jim & Judy P.
10/14/2015 - Toney & Lynn P.
10/14/2015 - Ronnie & Annie G.
Jimmie worked tirelessly to get our place sold in a timely manner and at a fair price. He never tired of my endless calls and questions and concerns. Jimmie has a heart for helping people on both sides of the sale of any property. He is kind, fair and a very diligent worker. Most importantly, he shows his love for his Lord and his family in his life! I considered him a friend before we decided to sell and I am happy to remain friends now! We had 3 lots recently listed with Jimmie and he sold one rather quickly and at a price that was very acceptable. This happened in a market flooded with lots right now. I highly recommend Jimmie and we look forward to him selling our other two lots in the future. He is easy to work with, and quick to respond to questions. He gets results! And he's a super nice guy too! If your looking for an honest reliable realtor Jimmie is your man! He was always available for random questions and walked us directly through the purchase of my families first new home! We couldnt have asked for a better realtor! He is very dependable and takes the worries out of buying a house! Let’s be real, not all encounters with real estate agents are pleasurable, some agents often have their own agenda and don’t listen to the buyers wants and needs…. Our dealings with Jimmie, however, were pleasurable and fruitful. I’m not certain who was more surprised when we purchased our soon to be retirement home, Jimmie or us. First and foremost, Jimmie listened to what we were looking for and because he may have sensed some uncertainty he first listened, shared with us the pros/cons of all the areas we expressed interest in and let us decide what was right for us. Being that we are out of town his knowledge of the areas was key in helping us decide which area to settle on. When we would get into discussion about the different houses Jimmie would always remind us of our wish list, close to the ocean and/or on a golf course, open floor plan and no stairs. Jimmie listened, accommodated our schedule, showed us homes we wanted to look at versus homes he wanted to sell and let us decide what was best for us. He was honest, a great listener, very accommodating and a trooper working through the loan and closing process, I never knew working through all the details from some 700 miles away could be so easy. We’re looking forward to retiring in OIB and enjoying our home in Brick Landing! Thanks so much R&M, you guys were a lot of fun to work with and I look forward to seeing you around the Brick & the back deck at Sharky's. Let me know when you'll be down again, hopefully soon. "I’m not certain who was more surprised when we purchased our soon to be retirement home, Jimmie or us." You're so right but I'm tickled that you love the house and have enjoyed telling the story many times. Take care and Congrats, your team just one the Natty Championship, Way to Go Wildcats!